As the first person to greet you when you walk into our Kearney office, Katelynn is SCORR’s culture ambassador. Her dynamic role centers around the daily operations at our fast-paced agency, and she excels at keeping the office well stocked and well maintained. 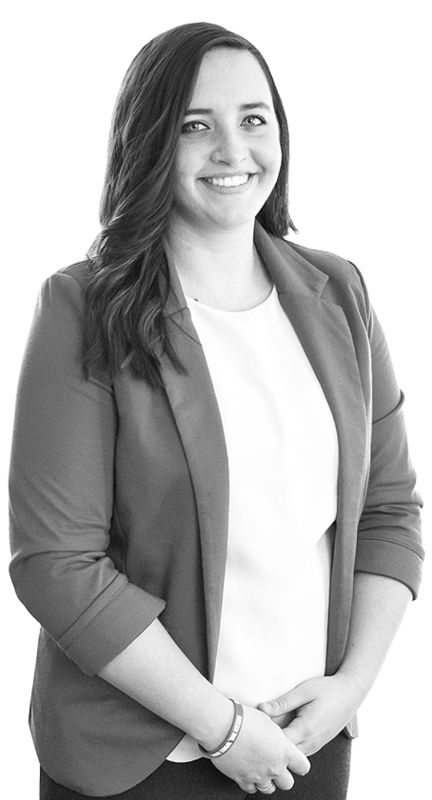 From ensuring that company meetings run smoothly to planning employee anniversary celebrations, Katelynn loves recognizing the SCORR team and takes a genuine interest in meeting everyone’s needs efficiently and professionally. Outside the office, Katelynn enjoys rec league volleyball and softball, Netflix and cooking. She also loves knitting, crocheting, sewing, painting, chalk boarding and projects that require cool handwriting. I am your Day-to-Day advantage.